Content is the most important part of any website- a site is virtually meaningless and uninteresting without it. We have integrated a content management system into our ecommerce platform, and we utilize WordPress for many of our clients, as it is easy to use, open-source (meaning FREE with FREE updates), highly extensible, and customizable. Whether you are launching a new website, or want to update existing web content, a powerful web content management system will be highly beneficial to you. Some sites need regular reviewing of content. In such cases, installing content management software creates tremendous efficiencies, where the user can update their own website content in a timely manner and with ease. A well managed web content management system is a great asset for any website, particularly if it is content based. Content and document management systems can easily edit and update the existing content with current information. Maintaining relevant information on your site helps attract and retain your target customers. Content managers perform a varied range of functionalities such as updating of product information, creation and editing of picture groups, news and press release management, and more. Any content management system we use is SEO-friendly and will enable you to provide search engine optimized content that will keep your site at the top of search engine results. You need a robust and easy to use system that can enable you to communicate your message in an interesting and effective manner- Webdroppers deliver! Our content management services can be applied to every business sector. 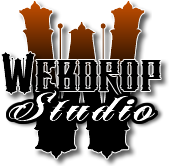 Webdroppers integrate the best available content management system into your site, resulting in maximum results for you. We look forward to showing you more about our cutting edge content management services.